Whether you’re a homeowner or a first-time buyer, you may well be wondering how its value could increase over time. Our homes are one of the few things in our lives that actually go up in value after we buy them, and recent figures by Zoopla indicate that house prices in the UK have seen an increase of over 275% over the past 20 years, with the current average value sitting at £303,094(R). There are many tools that can help us assess the current value of a home, but we wondered: if house prices continued to increase at the same rate they have for the past two decades, what could our homes be worth in the future? Looking at 20 years of UK property data, our very own data experts have built a tool that does exactly that. Check it out below. How can I add value to my home? To use the calculator, simply enter the first part of your home’s postcode and its current estimated value. If you think the house price growth rate may differ from what our calculator suggests, simply edit the rate in the drop down. Once you've had a play with the tool, you can also get three instant online valuations from Zoopla, The Land Registry and PropertyData, or if you're thinking of selling, find out more about how Settled can help you sell your home for a fixed fee of just £499. In your search for a new home and worthwhile investment, you’re probably researching where in the UK house prices have been increasing the most. Looking into data from HM Land Registry*, we saw that London postcodes had the largest average growth, with some areas experiencing an average increase of over 12% per year. To put that into context, a home in Chelsea’s SW3 postcode would have set you back £366,051 in 1995. Today, that same home has grown to a staggering £2.9 million. Outside of the capital, Bristol and Brighton house prices have grown significantly, with areas in both cities seeing an average annual house price increase of over 9%. Parts of the north east have experienced the slowest growth since 1995, with some areas of Hartlepool growing by only 2% on average each year. Wherever you live or choose to move to, our homes are often our most valuable asset, so it’s important to understand how to determine the right price of your existing home or the next. 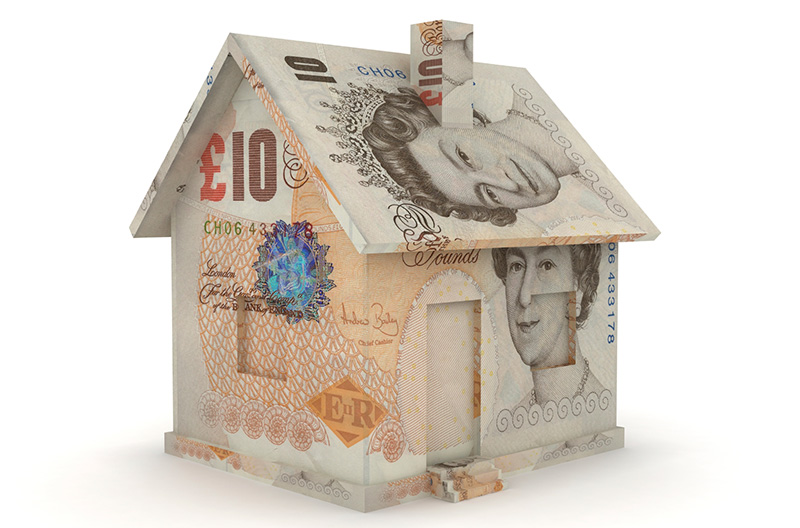 Many people turn to estate agents to carry out a valuation, when the reality is that they can be very straightforward. By following a number of steps, you actually become the best person to assess the value of your own home. Often, the selling price of a home has been subject to negotiation by both the seller and buyer, so it’s wise to think of the initial asking price as a non-fixed amount that may be negotiated. If asking prices are top of mind right now, here’s a simple guide to help you work out the value of your home, or indeed to check the competitiveness of a home you’re looking to buy. Most of us already have a good idea of house prices in our neighbourhood, and when we see a For Sale board pop up nearby, we visit Rightmove and Zoopla to check the asking price. This is the kind of simple but powerful local knowledge that will come in handy when choosing your own. You’re the best person to know about the amenities in your home’s neighbourhood. Good schools, green space, hospitals etc are big deciding factors for buyers, making the knowledge of your home’s proximity to them, plus the general quality of the area, invaluable when deciding on (and justifying) your asking price. The same tools that estate agents use to help them value homes are available online for anyone to make the most of. 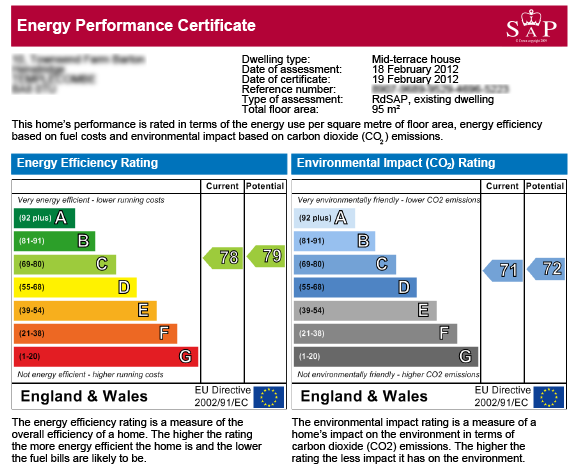 This means you too can value your home, and with your own local expertise, do it like a real pro. Many websites, offer online valuation tools, and we at Settled have our own version too. 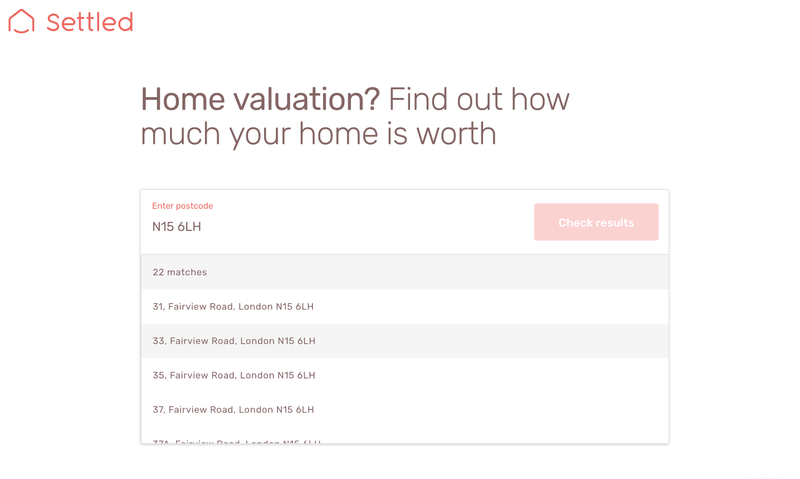 Our’s pulls data from Zoopla, HM Land Registry and Property Data to provide three home value estimates, which you can use to inform your decision making. Simply enter your postcode and the tool will do the rest. Always remember that an online estimate is best mixed with your own local knowledge and wider research to come to the most appropriate asking price. If you want more sources to aid in your research and decision making, online property portals provide useful information to get a better understanding of house prices in your neighbourhood, as well as how these have changed over time. Tick the box that says ‘include under offer, sold STC’ to get more results. Rightmove can also help you analyse market trends in your area by drawing a comparison between homes that are for sale or have sold on nearby streets. 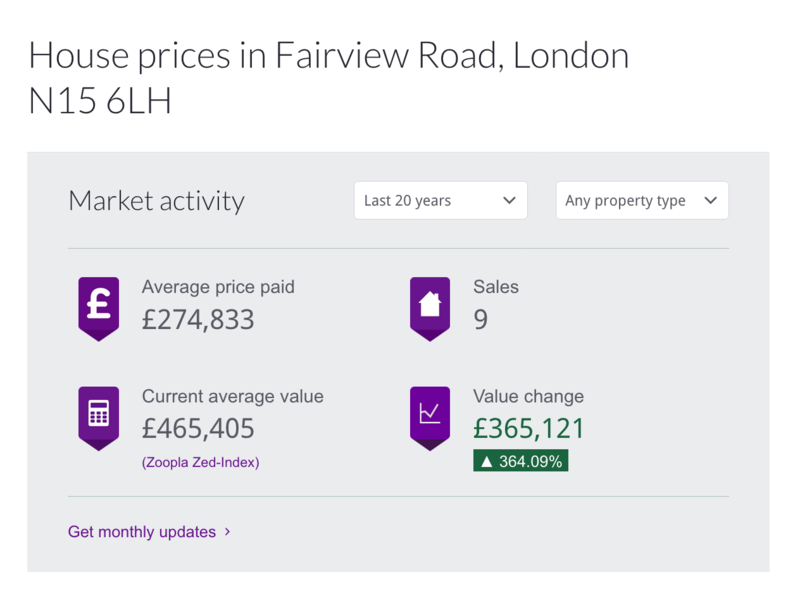 Zoopla (the second largest UK property portal) have a sold prices feature, which allows you to see the historical selling activity for homes around a postcode. This is handy when judging market demand and how this has changed over the years. A home is a significant investment, and there are many ways to improve its value over time and increase its appeal for future home buyers. When it comes to selling your own, you want to make sure you’ve built on the value of your investment, and one way to achieve this is to be smart about the renovations you commit to. The choice of home improvements available to you depends on your budget and time, so here are some of the key ones that have the potential to provide significant positive impact on the value of a home and how quickly it might sell. This may well be the single best home improvement you could ever make. First impressions mean everything, and a smart front door implies that what’s inside is worth paying attention to. 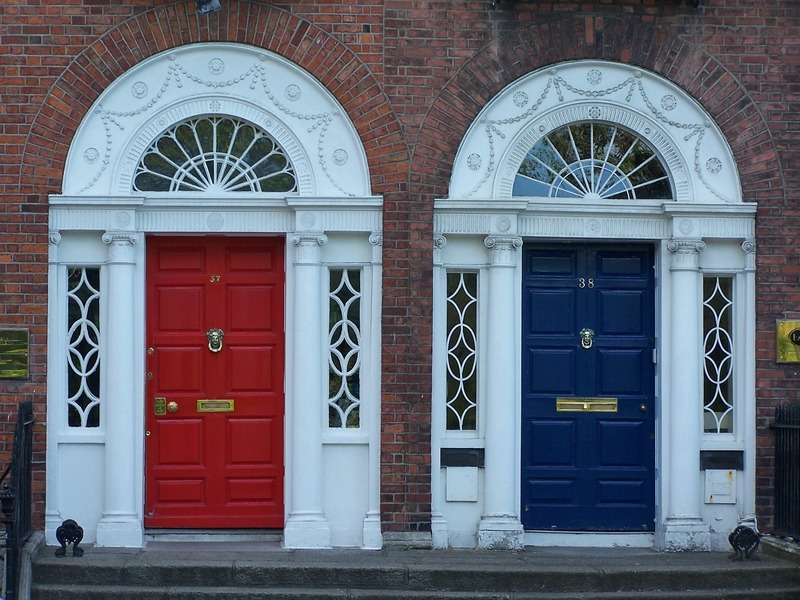 To give the door a facelift, think about painting it an attractive colour that makes it look up-to-date and standout. Typing ‘paint colour trends’ into Google is an easy way to find ideas and inspiration. You should also replace any old knockers and doorbells, polish the fittings and potentially add some planters or a hanging basket to make your home feel truly welcoming and cared-for. Prospective buyers pay a lot of attention to your kitchen and bathroom - rooms that receive heavy use but often suffer from neglect - so these are two key areas in the home you should consider upgrading. Scratched surfaces, doors hanging off the hinge and broken lights in the kitchen can be will be a real put-off for buyers viewing your home, so a little DIY will go a long way. If the budget is there, refitting an outdated kitchen can definitely help to make a lasting impression. In fact, some reports suggest a new kitchen can increase the value of your home by up to 6%. When it comes to the bathroom, an absolute necessity is to get rid of any mould and mildew, both of which can raise alarm bells about lasting water damage in the minds of buyers. If you’re dealing with something more than just surface mould, remember that the buyer’s surveyor will find it, so why not show you care by getting the work done and telling buyers about it. Inexpensive features like new taps, an extractor fan or a heated towel rail can change a bog-standard bathroom into a small paradise for buyers who love their shower time. The light throughout your house is crucial. So, consider lighting that brings out the rooms’ features, and use mirrors to emphasise that feeling of space even more. Many things affect property values, but the good news for homeowners is that some of this is under your own control. Not only are there tools that allow you to see the value of your current home so you can improve it, you can also check the potential value of the next. If you’re thinking about purchasing a home or selling your own, we’re here to totally simplify the journey. What buyers and sellers share is a desire to complete, and we’re the completion experts. If you want talk through your next steps, we’d love to hear from you at hello@settled.co.uk or on 02033228417. Disclaimer: Results are to be viewed only as a rough estimate and not to be considered absolute. *All data is sourced from the UK House Price Index and is correct as of July 2016.